VANCOUVER, BC – Granville Island Brewing has announced that a popular brand from its Small Batch Series of limited edition specialty beers is returning as a more widely available Seasonal release. Natural mocha flavours of coffee and chocolate from roasted malt are amplified by pure liquid cacao and a decaf dark roast by local coffee roaster JJ Bean. 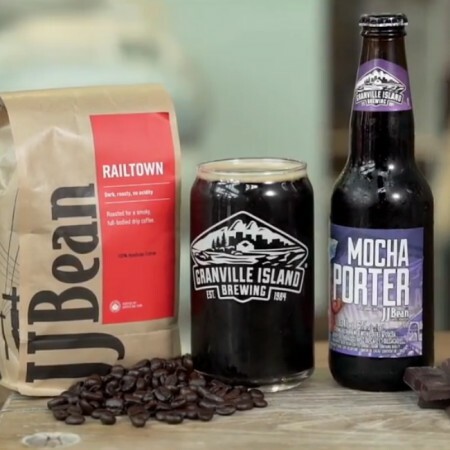 Granville Island Mocha Porter is available in six-packs of 341 ml bottles at beer retailers in British Columbia, Alberta, Manitoba, and Saskatchewan, as well as on tap at select bars and restaurants in British Columbia.